I'd like to take a brief moment to introduce our newest feature here at Nerds of a Feather. By now you've seen our "Microreviews", which is our take on the review format while acknowledging that it is notably shorter than a full on proper review. We'd like to take that one step farther with our new "Nanoreview" format. Here we will focus on three* books / movies / etc which we would still like to talk about, but perhaps not with the longer format of a proper microreview. Hence, the nanoreview. *for the sake of holding format, today we're going to count Matt Wallace's Sin du Jour novellas as just one thing. Let's not mess around or bury the lede here: Matt Wallace's Sin du Jour novellas are two of the most whacked out, amazing, balls and ovaries to the wall, freakishly imaginative, gloriously wonderful stories I've read. They're friggin delights, people. You should read them. 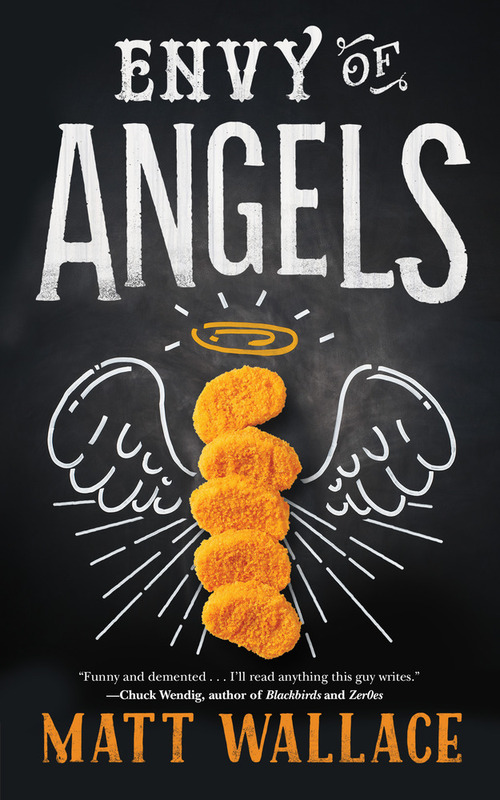 Envy of Angels requires the team to prepare a dish like non other, one that has a very distinctive flavor. 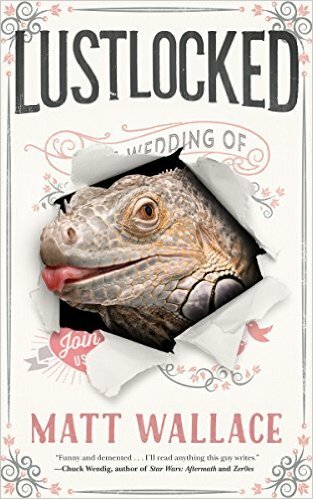 Lustlocked, on the other hand, brings us a goblin / human wedding where the Goblin King is exactly who you think he might be. Wallace writes with incredible audacity and bitingly funny humor. Sin du Jour is not to be missed. Publishing does not seem to have the thing the film industry does where the movies expected to contend for awards are most often released in the last quarter of the year, even just in a couple of select theaters so as to qualify for that year's Academy Awards. Seldom does a movie premiere in January and manage to be recognized by the Academy the following year. Even so, there is still a tendency to say in reference to a novel, "we'll still be talking about this at the end of the year when it comes to awards or best of lists" All the Birds in the Sky is that sort of novel, published in January and putting a stamp on the entire year that it must be considered as one of the year's best. It's about magic versus technology, about growing up, about alienation and finding someone or something to connect with, about optimism amidst growing despair. 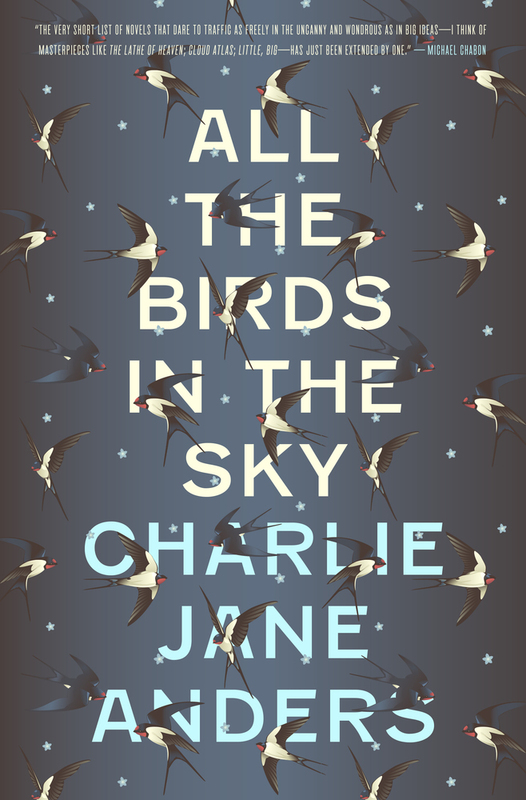 All the Birds in the Sky is wonderful. Each of is the hero of our own story, right? That's one of the ideas Sanderson is playing with in Perfect State, a weird blending of science fiction and fantasy where in some future of ours we all have our own virtual worlds to conquer, built for our individual happiness and there is no need to interact with anybody, ever. 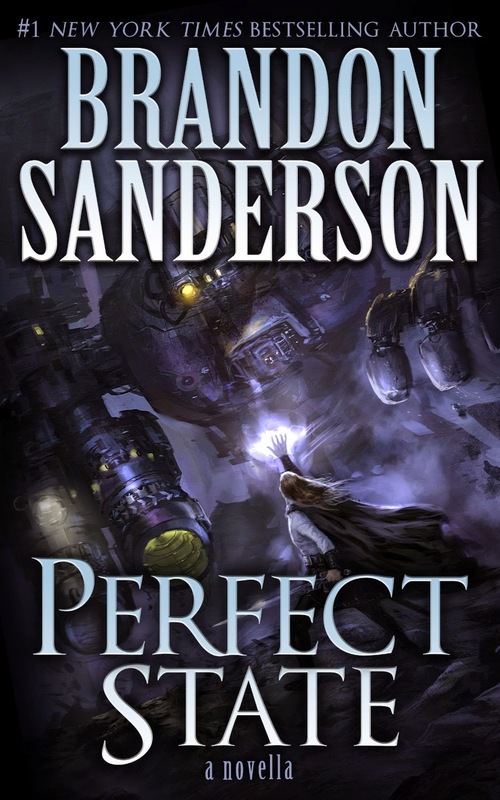 Sanderson has so many fantastic ideas to build worlds and stories around, but there's something about the execution of this one that just falls flat.